​​Cleo is such a mellow little gal at mature weight of ​1125 lbs. Pictured here at 3 years old. 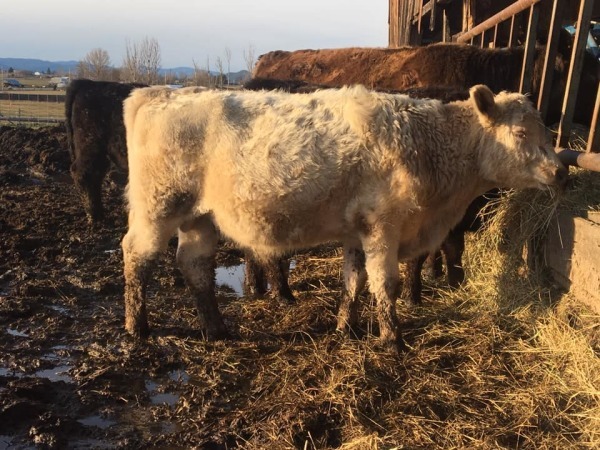 As a pair she is the 2018 AMGA National Grand Champion MG Cow/Calf pair, dam of 2018 AMGA National Grand Champion MG Bull and dam of 2018 AMGA National Champion Heifer calf. ​​This girl stole my husband's heart. 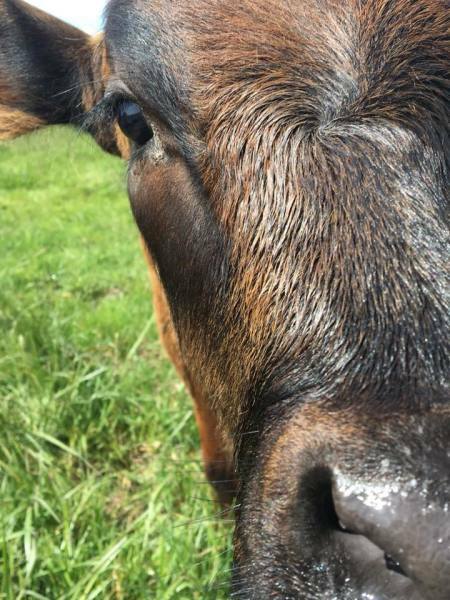 While visiting the JB ranch, this heifer perked her ears right up and came over to visit us. She has quickly learned that the kids bring her treats- alfalfa is her favorite. Mature weight of 1450 lbs. 2018 AMGA National Res. 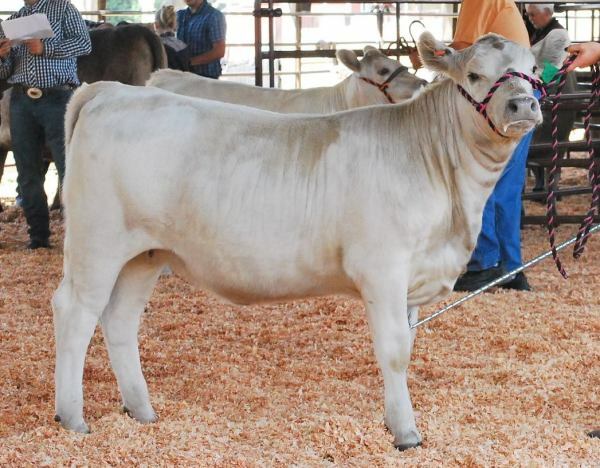 Grand Champion MG Female. 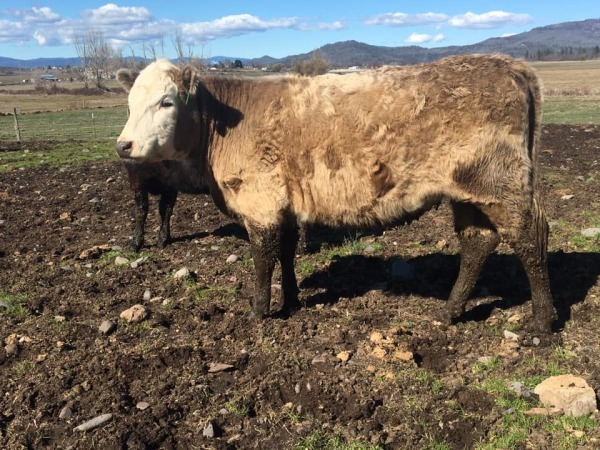 ​​Dark grey moderate cow. Her bloodline includes JB Monique Marie, Warook Zenda, Twin Fir Black Powder, Willalooka Power, Twin Fir Precious and Marire Gambler. Black heifer, halter broke, mellow, loves to be brushed. 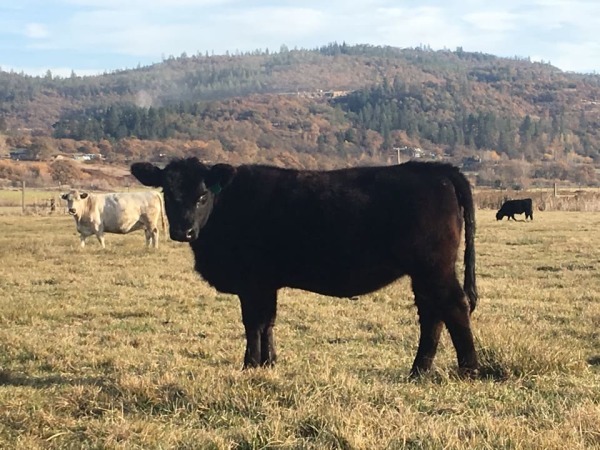 2018 AMGA National 1st Place Winter Heifer Calf- pictured at 10 months. Dam is AMGA National Grand Champion Murray Grey Cow/Calf Pair 2018. She is the 2018 AMGA National Champion MG Heifer Calf. She is deep, ultra feminine and level when on the move. We expect to breed her to Two Byrds Frost in the spring. Dark heifer bred by Evergreen Acres out of 4B Station Bullseye who is a Gentle Acres Trojan Granddaughter. Fern also has Marire Gambler and Willalooka Pharaoh genetics. She is pictured here at 9 months old. She is a tank! 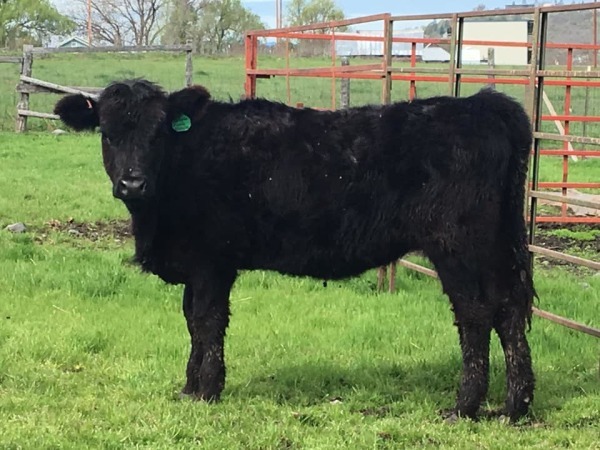 Black heifer by calving ease Simm bull. She will run with our JR bull next summer to bring in some new bloodlines. 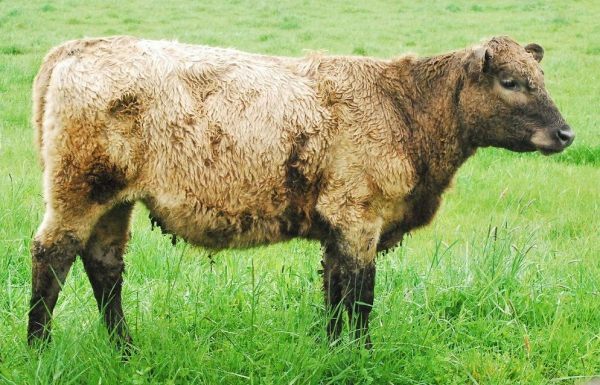 Frost has genetics from Austrailia including Marire Gambler, Lochaber-Braes Diplomat, Robern MR Muscle and Willalooka Power. Chunky and hairy with a good amount of bone.